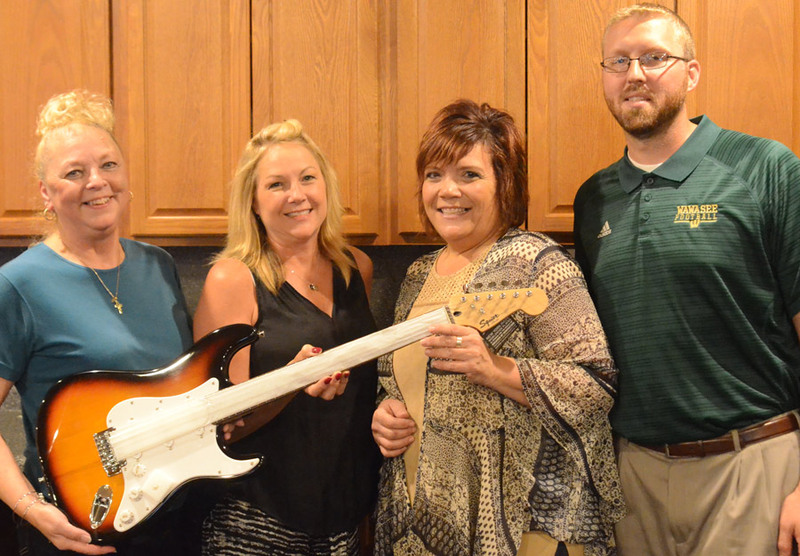 Rotary Rocktoberfest committee members Sylvia Gargett, Susan Stump, Tracey Sleighter and Eric Leffler are shown with the guitar which will be sold through a silent auction. 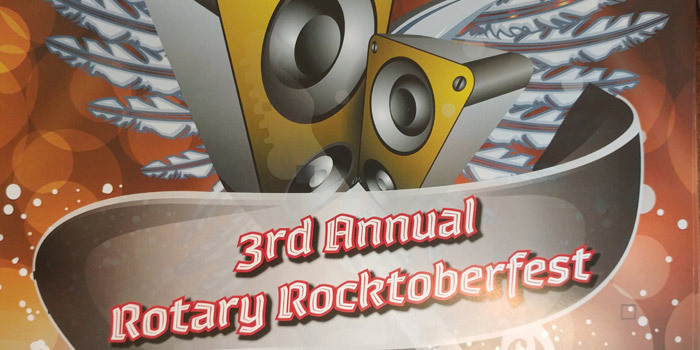 Proceeds from Rocktoberfest will benefit the food pantries in North Webster and Syracuse. Tickets are now on sale at $10 per person from any Syracuse-Wawasee Rotary Club member; RadioShack, Syracuse; Karma, Warsaw; and the North Webster American Legion. Tickets will be sold at the door for $15. Those attending will have the opportunity to participate in a 50/50 drawing and those who bring non-perishable food donations will receive one ticket per item for a drawing of a flat screen television. Tickets for the drawing can also be purchased for $1. There will also be a silent auction of a signed guitar, by The Why Store. Individuals need to be present to win in the 50/50 and flat screen television drawing. Food for the evening will include homemade pulled pork sandwich, chips, a full cash bar and the signature drink of raspberry vodka lemon shake-ups. VIP tickets, at $150, are still available. These tickets include front row seats for four, dinner and a meet and greet with the band. 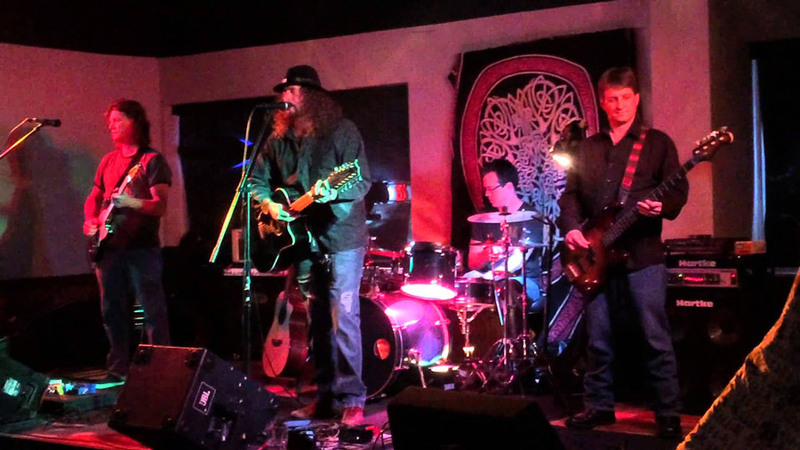 A 2014 photo of The Why Store who will be performing at the third annual Rotary Rocktoberfest. The Why Store is lead by Chris Shaffer, a songwriter with a repertoire of 130 plus original songs. He has never played the same set of songs in the same order and is open to his audience, allowing his live shows to be recorded and shared freely. The band was formed in the late 1980s in Muncie. Shaffer, a Ball State student, joined the band and played a few gigs as Emerald City before switching to the present name. The band independently recorded “Welcome to the Why Store,” in 1993 and one year later the band recorded “Inside The Why Store.” Both albums were locally successful and the band began getting attention from record labels. In 1995, The Why Store signed to MCA’s subsidiary Way Cool Music for its first major label effort, released in 1996. The major label debut spawned several hits. The first single, “Lack of Water,” was a No. 1 hit on Triple-A Radio; the band performed “Surround Me” on “Late Night with Conan O’Brien” and saw their video for “Father” receive rotation on MTV2 and VH1. The group was a Top 20 album for 1996 and went on to sell 200,000 copies. Some of the artists the group shared the stage with include: John Mellencamp, The Clarks, Sonia Dada, The Tragically Hip, Widespread Panic, Eddie Money, Foreigner, Kansas, Train, Cowboy Mouth, Ziggy Marley & The Melody Makers, Violent Femmes, Vertical Horizon, Pat Travers, George Clinton, Cracker, Incubus, Hoobastank, Mickey Hart Band, Robert Bradley’s Blackwater Surprise, The Bodeans, Big Head Todd & The Monsters, Ben Harper, The Samples and Collective Soul. The band split in 2000, but was reincarnated by Shaffer in 2007. The Why Store is poised to break back into the scene with an exiting new album called “VIM.” Produced by Rusty Anderson, Paul McCartney’s long time guitarist, “VIM” showcases Shaffer’s passionate songwriting and refreshingly edgy vocal ability. “It was a magical experience, definitely the best thing I’ve ever done,” said Shaffer.